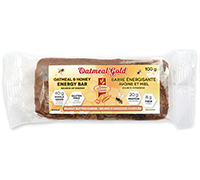 Oatmeal & Honey Energy Bar! Delicious in flavour, generous in portion size, these products are made in a gluten-free facility using the best whole grain oats and wholesome ingredients. And a great source of food energy!